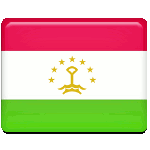 President’s Day is an official observance in the Republic of Tajikistan, held on November 16 every year. It commemorates the official inauguration of Emomali Rahmon as President of Tajikistan on November 16, 1994. Tajikistan declared its independence on September 9, 1991, shortly after the dissolution of the Soviet Union. Rahmon Nabiyev, the former First Secretary of the Communist Party of Tajikistan, won the presidential elections and became the first elected President of Tajikistan on December 2, 1991. Several months later, several rebel groups rose up against Nabiyev’s government, and the Tajikistani Civil War broke out. Nabiyev was forced to resign from the office, and a new government under the leadership of Emomali Rahmon (then Rahmonov) was created. For two years, Rahmon was the Chairman of the Supreme Soviet and acting president. Following the adoption of the new constitution that reestablished the presidency, Rahmon was elected to the post and sworn in on November 16, 1994. Emomali Rahmon has served as President of Tajikistan since his first election. After a number of constitutional referendums, a four-year presidential term was replaced by a seven-year term. In addition, the limit on presidential terms has been lifted. Since 2015, Rahmon’s official title has been Leader of the Nation (the full version is “Founder of Peace and National Unity, Leader of the Nation). In 2016, President’s Day was added to the country’s holiday calendar. Despite its official status, the observance is a working day.